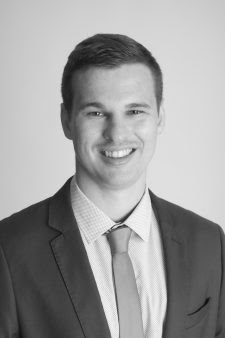 Jackson graduated with a Bachelor of Podiatry in 2017 and has been exclusively in the field of musculoskeletal and sports podiatry at Forster Tuncurry Sports Podiatry ever since. As a junior athlete he succumbed to numerous lower limb injuries, and uses his personal experiences to fuel his passion for injury prevention and rehabilitation. Jackson has extensive experience working with junior and senior athletes at all stages of the injury process- from acute on field management, treatment in the clinic, and further into rehabilitation and improving sports performance. Jackson is an advocate for a pro-active approach to injury, and aims to bridge the gap between the clinical setting and the return to sport/exercise. He believes that a thorough biomechanical assessment and individually tailored rehab program is the key to achieving the best results. He is also passionate about raising awareness and the standard of podiatrists as the lower limb specialists, regularly taking on podiatry students and presenting at events/seminars, as well as being active on various social media platforms.